Show Poster Goes Up At The Murphy! Murphy Theatre Show Poster Released! 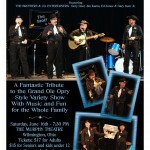 The official poster has been released for the June 16 performance of The Brothers & Co. 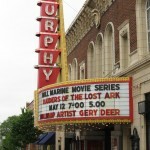 Variety Show at The Murphy Theatre in Wilmington, Ohio.